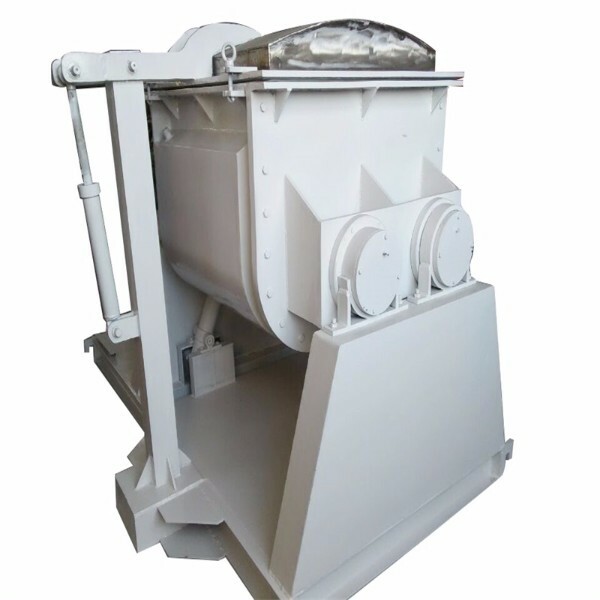 Hydraulic tilting kneader is a type of horizontal mixer, the English name is Kneader, is a by a pair of co-ordination and rotation of the blade (usually Z-shaped) to produce a strong shear effect so that semi-dry or rubbery Plastic materials such as high viscosity and viscosity of the elastic-plastic uniform mixing, mixing, kneading, crushing, dispersing, re-polymerization into a variety of chemical products equipment; its full-featured, wide variety and wide range of applications, with mixing, The advantages of high kneading efficiency, suitable for high viscosity sealant, plastic, rubber, silicone rubber, dyes, pigments, inks, food gum base, pharmaceutical agents, architectural coatings, carbon, fiber, neutral acid glass, chewing gum, Bubble gum, pulp, cellulose, batteries, resins, food, cosmetics and other industries. Hydraulic tilting kneader: Hydraulic tilting kneader Both electric heating and steam heating, special kneading machine for screw extrusion A specially designed model for materials that need to be molded once the kneading is completed. Type can be a multi-purpose, replace the die once, mainly for a variety of viscosity CMC, also used in chemical, food, plastics,pharmaceutical and other industries. Screw extruder kneading machine with high efficiency, contact materials are made of stainless steel, to ensure chemical products, the aircraft design, reliable, easy to operate, is the user's ideal equipment. Kneaders were developed by Heinz Reis, a technology that became quite popular in the processing industry. In 1966, Heinz once said that "during operation, highly concentrated materials are more effective and less expensive than lower concentrations." Heinz believes that the treatment of high-concentration materials, meaning less or no solvent solvent, so as to maximize the benefits per unit volume of the process. The handling of highly concentrated materials is a very complex and challenging task in itself, and new technologies need to be developed to better handle highly concentrated materials. As a result, he began developing process technology that is reliable and capable of handling phase changes in high-concentration materials, the so-called "dry process." In 1967, the kneading machine was introduced into China by the former Soviet Union and introduced into China from the then state-owned Nanjing 518 Plant of the Fifth Machinery Industry Ministry (now China Ordnance Group). It mainly produces nitro-cut slices for the manufacture of nitro-explosives After nearly 50 years of development, the North China Ordnance Co., Ltd., now China North Industries Group Corporation, has become the largest production base of nitro-explosives in the world. 1, Kneading machine General through the chassis, easy to install. 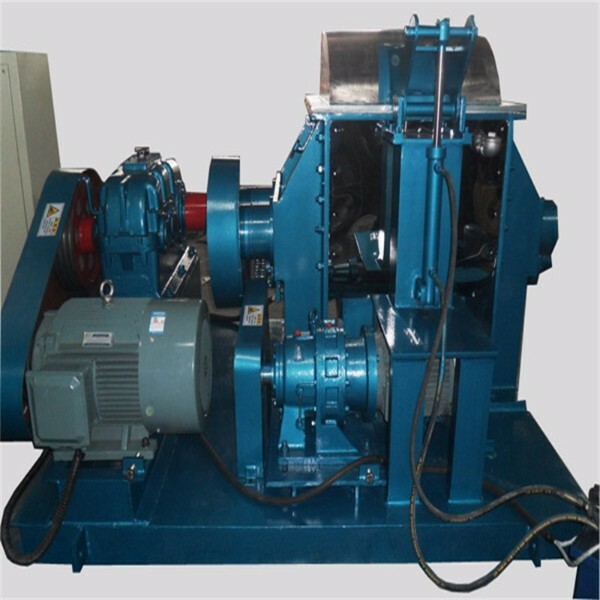 2, the use of helical gear or hardened reducer, and the host drive smooth, small voice, long life. 3, stirring paddle and mixing tank wall, using SUS304 stainless steel or SUS316L stainless steel, to ensure the purity of products. 4, advanced shaft seal structure, sealing effect is good. Unique design of the vacuum box balance structure, to ensure that will not grind black material. 5, integrated electrical control (host running, hydraulic cylinder, hydraulic cover and temperature control) and temperature control and temperature display, easy to operate and process control.